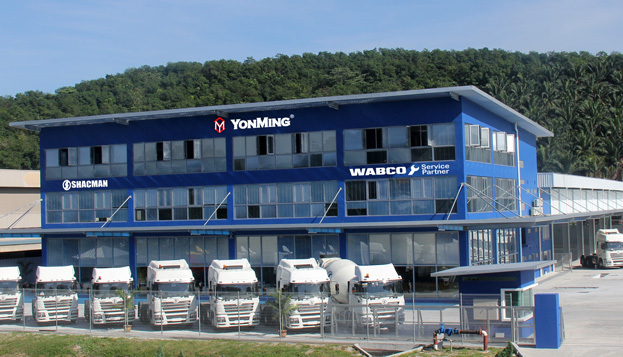 YonMing ® Group | The Leader of Innovative Solution for Heavy Commercial Vehicle, Dealing in VOLVO truck parts, SCANIA truck parts, MAN truck parts, MERCEDES-BENZ truck parts, IVECO truck parts, used truck parts and buses spare parts supplier. A leader in the sale, distribution and maintenance of commercial vehicle parts, YonMing Group started as a humble self-proprietorship with small capital and office in 1979. Dealing in VOLVO truck parts, SCANIA truck parts, MAN truck parts, MERCEDES-BENZ truck parts and buses spare parts supplier. Ferodo, Hendrickson, Hidromas, Phoenix, Sabo (Roberto Nuti), Valeo, Wabco, Yuchai, Weichai, Higer Bus Parts, Fast Transmission. YonMing Group was proudly appointed the sole distributor for Shacman, China, and was tasked with bringing commercial vehicles from China to the Malaysia market. Yuchai and Higer bus have appointed YonMing Group as their authorised after sales service agents.